I had always known that India is rich in culture and heritage. Despite having only visited the northern cities before, including the Golden Triangle, I was already treated to its magnificent memorials and mausoleums (the Victoria Memorial, the Taj Mahal, and Humayun’s Tomb), its old forts, and of course, its grand palaces. However, it wasn’t until our trip to Karnataka State that I appreciated how old India really is, and how vast and rich its empires had been. 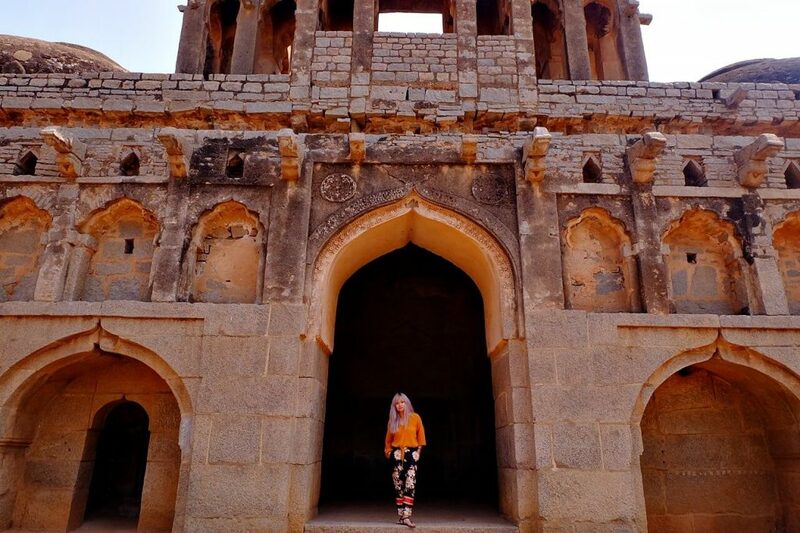 One of the places we visited during the Great Indian Blog Train was Hampi, a UNESCO World Heritage Site that was the capital of the Vijayanagara Empire in the 14th century. 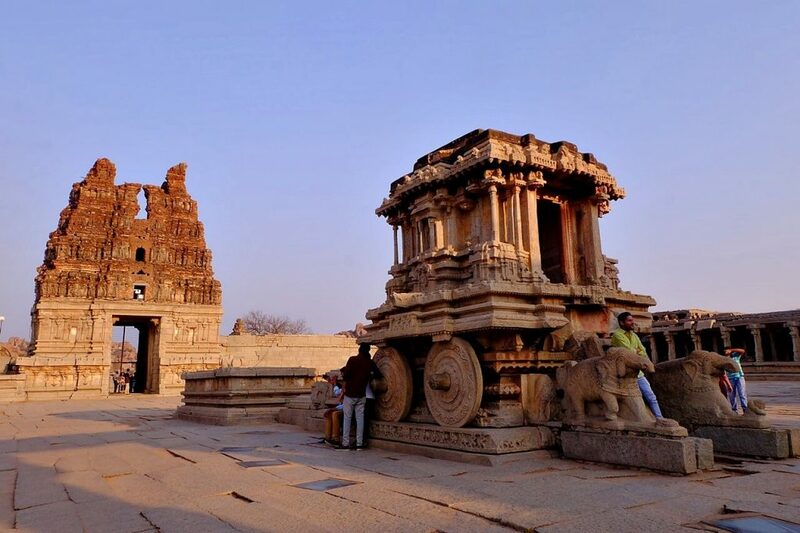 At its peak, in the 15th century, Hampi was India’s richest city, and the world’s second-largest medieval-era city after Beijing, attracting visitors — mainly traders — from ancient Persia and Portugal. 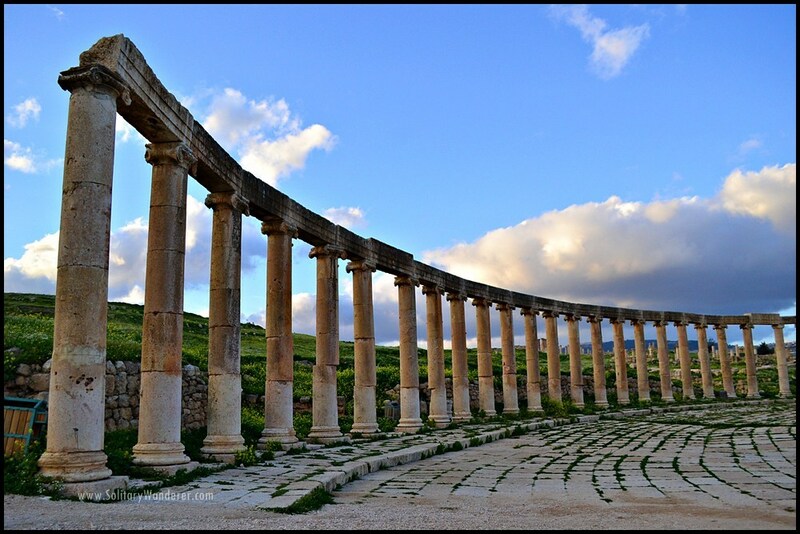 It was conquered and destroyed by sultanate armies in 1565, razing the grand capital almost to the ground. 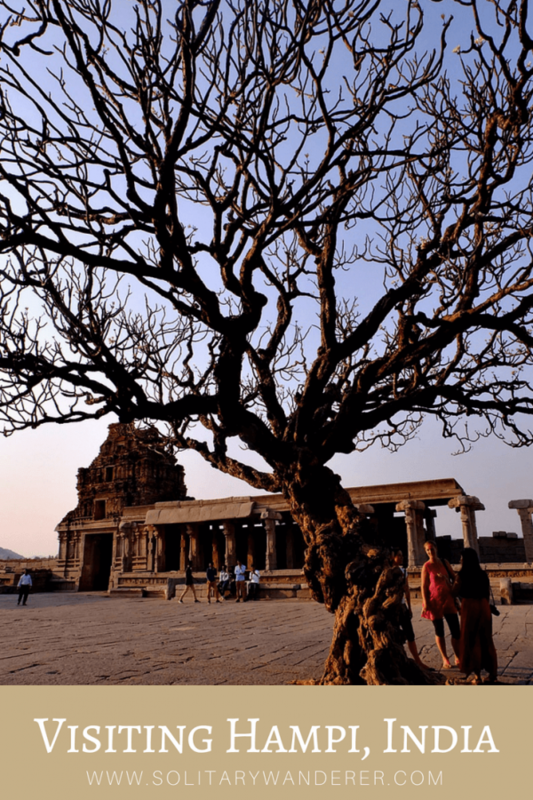 Hampi never managed to regain its lost glory. 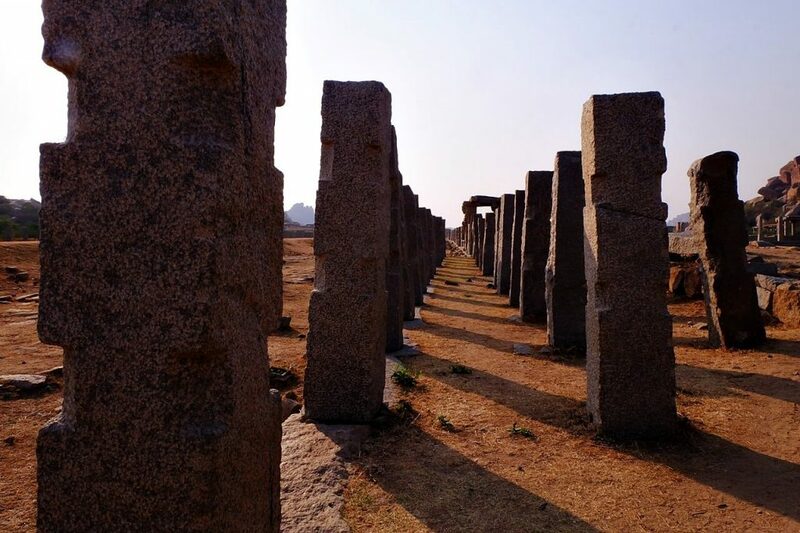 Nowadays, all you’ll see are empty stone temples and the ruins of a once great city, but it is these fallen stones that give a hint of what Hampi used to be. 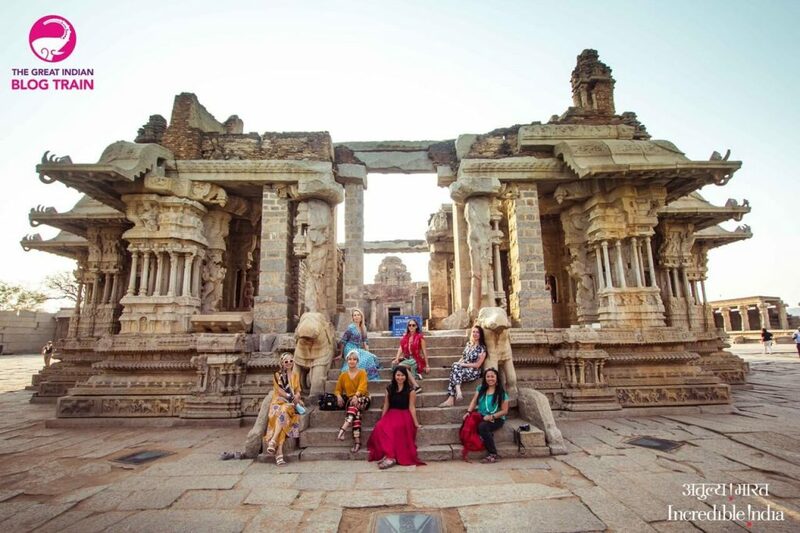 The ruins of Hampi, situated along the banks of the Tungabhadra River, have hundreds of structures that include temples, shrines, royal palaces, memorials, gateways, stables, stepwells and water tanks, bazaars, and high granite walls, among others. 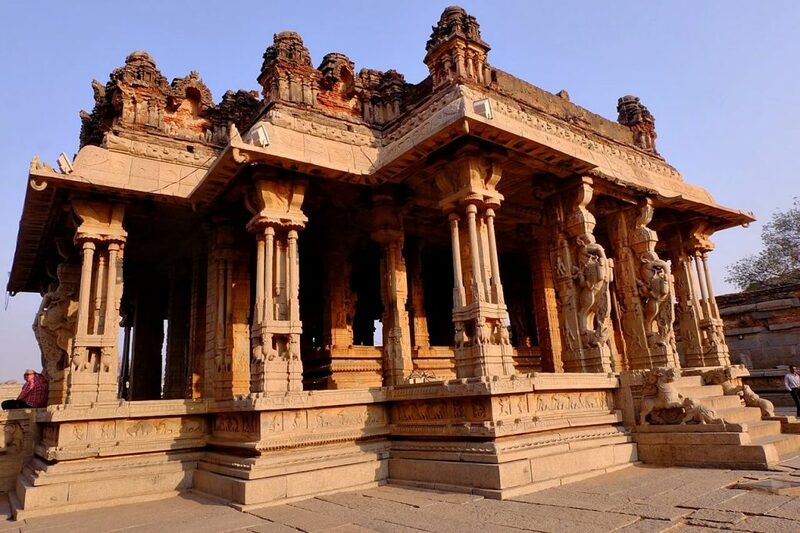 Often referred to as the grandest of all temples and monuments in Hampi, the Vitthala Temple complex showcases exceptional architecture and unmatched craftsmanship of the Vijayanagara era’s sculptors and artisans. The Stone Chariot of the Vitthala Temple Complex. Dedicated to Lord Vitthala (an incarnation of Lord Vishnu), the temple is also said to be the most ornate and most photographed monument among the ruins of Hampi. Just take a look at the details of the stone carvings in the Main Hall (featured photo)! Once there, pay attention to the most notable structures — the Devi shrine, Maha Mantapa (Main Hall), Ranga Mantapa, Kalyana Mantapa (Marriage Hall), Utsava Mantapa (Festival Hall), and the famous Stone Chariot. 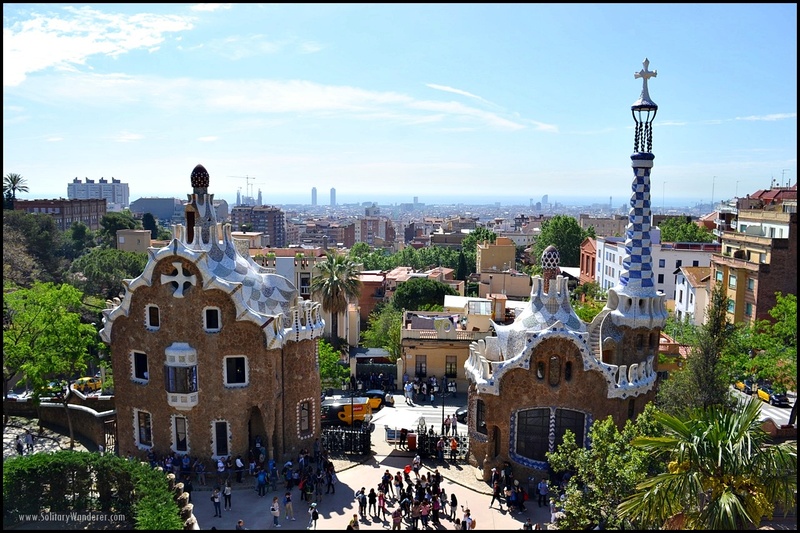 It is best to get a guide so you’ll have someone to explain the significance of the buildings. Want to know something interesting? The stone pillars and columns of the Musical Hall can make music! The British, curious about what was making the sound, took a pillar and a column down to see whether they were hollow or not, but they found those to be solid rock. Fascinating, eh? If you want to know how the musical pillars work, watch the video above. 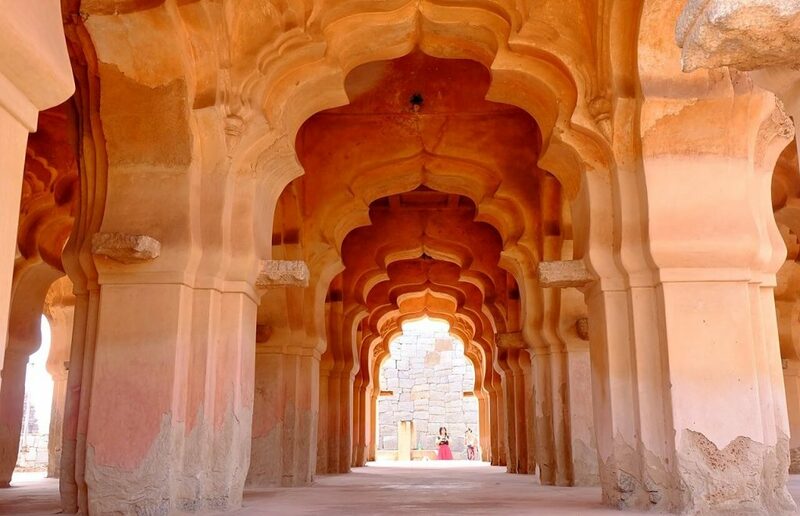 Gorgeous arches of the Lotus Mahal. The Queen’s Summer Pavilion, also called the Lotus Mahal, is a segregated area reserved for the royal women of Vijayanagara Dynasty. There was a water system built within the foundations that kept the stones cool in the hot summer months. The Lotus Mahal is relatively intact and one of the few structures that had not been damaged in the attack on Hampi. Also called Kamal Mahal or Chitragani Mahal, it was named after its lotus-like structure. The elephant stables used to house the royal elephants of the Vijayanagara Empire. The Elephant Stables that provided shelter to the royal elephants of the Vijayanagara Empire lies just outside the Zenana Enclosure. It is considered among the finest examples of Indo-Islamic architecture. The stables consist of 11 decorated domes that feature ornate plaster interior and exterior. They also come in a variety of shapes (circular, octagon, ribbed, fluted, drum-shaped) and symmetric layouts. It’s still in great condition. Ruins of the ancient bazaars in Hampi. Also known as the Virupaksha Bazaar, the once center of flourishing trade now functions as a marketplace for local items like textiles, costumes, jewelry and other handicraft items. Both sides of the road passing through the market have a series of old pavilions with an organized structure. A number of pavilions have two floors and served as residences for many rich and important people of that era. Located in front of the Virupaksha Temple, the 1-kilometer Hampi Bazaar takes on a vibrant look during the annual festival Hampi Utsav held in November. Hampi had a number of aqueducts all around the city to carry water to tanks and other parts of the metropolis. One of these is a beautiful stepwell near the Mahanavami platform that was excavated in the 1980s. All in all, there are over 20 wells and cisterns in Hampi, ten of which can be found inside the city. These were for domestic and public use, for travellers, and also for use in rituals. Watching the sunset by the river was the perfect end to a lovely day. 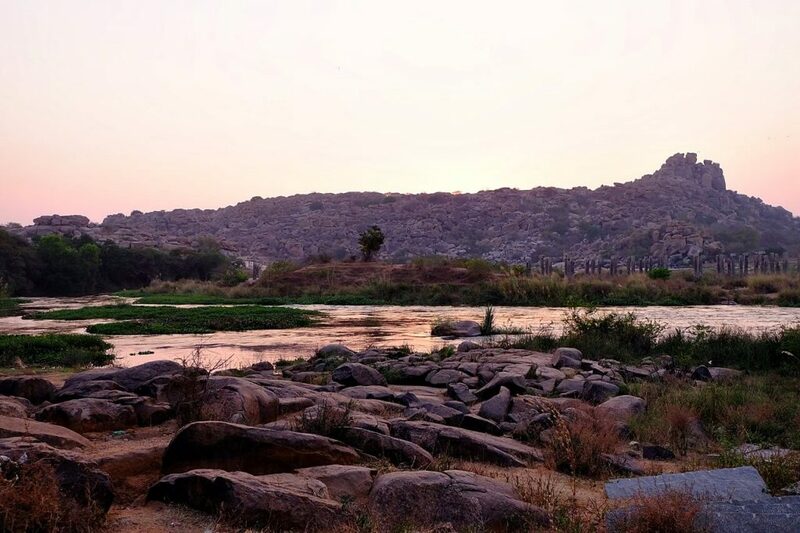 The chief tributary of Krishna River, the Tungabhadra has played an important role in forming the political and religious history of Hampi. The river, along with the boulder-strewn hills, formed the northern barrier of the capital that protected the empire from invaders. Formed in the district of Shimoga, Tungabhadra’s name came from the union of the Tunga and the Bhadra rivers. Flowing east across the Deccan Plateau, it joins the Krishna River in Andhra Pradesh state and then empties into the Bay of Bengal. We watched the sunset from here, and dipped our toes in the cool water of the river. It provided a lovely ending to a great day! Even doorways are intricately carved! 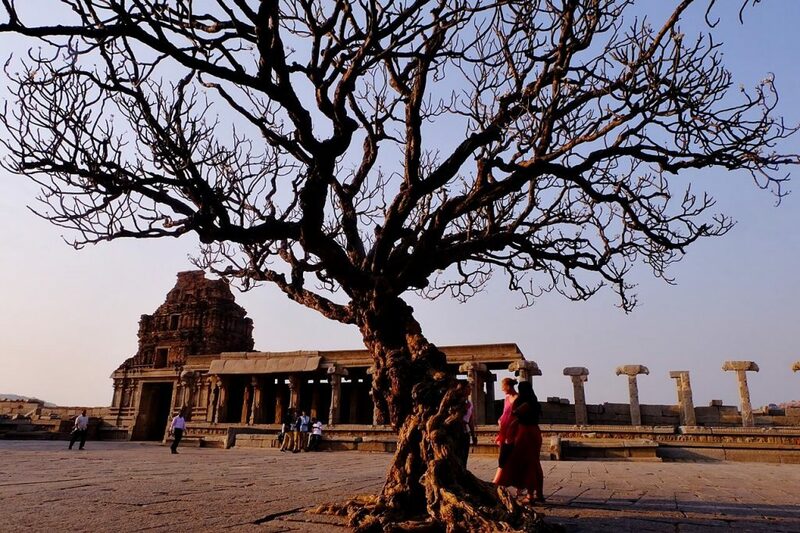 Locals agree that the best time to visit the ruins of Hampi is from December to February. 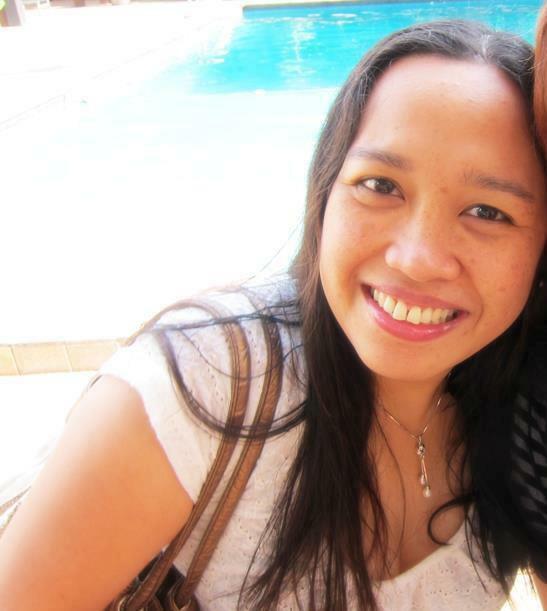 It is not recommended to travel in March due to the extremely hot weather. Also make sure to carry enough cash with you prior to your trip to Hampi because there are no ATMs within the city. The closest ATM is in Kamalapura, about 10 minutes away. It is recommended to make your last-minute cash withdrawal before leaving Hospet. Note that due to religion restrictions, meat and alcohol are not available in Hampi town. But you may find these items across the river in Virupapur Gadde. Consider starting and ending your trip by watching the sunrise and sunset over the village from atop the central Matanga Hill for a truly magical experience. I’m not a sunrise person, but I can agree that sunsets in the ruins of Hampi are definitely a treat. Hampi is full of temples like this. While there are a whole lot more choices of accommodations in Hospet, Hampi has a few as well. if budget is not an issue, the luxe Orange County Hampi resort, situated in Kamalapura, would be great for you. For excellent value for money hotels within Hampi, check out Shivavilas Palace (excellent feedback, ~$82), Heritage Resort (~$50), and Clarks INN (~$30). 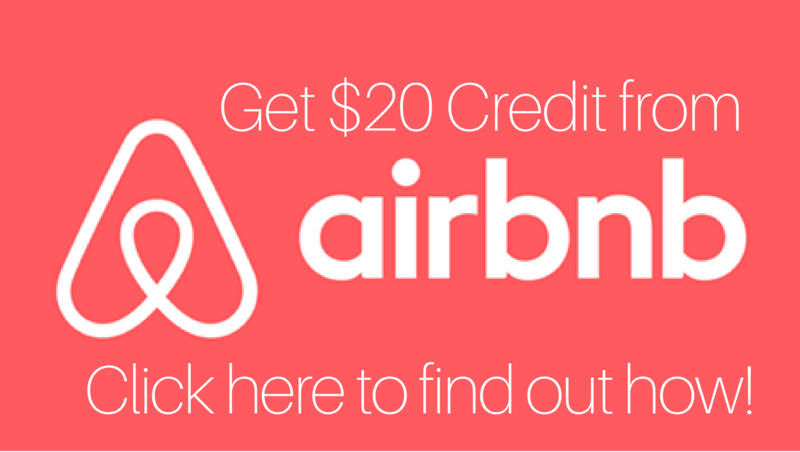 Inexpensive ones (but highly rated) include Murali Homestay ($9) and Gowri Cottage Stay ($6). A huge water tank that you can pass by on the way to the river. Located in the central part of the Indian state of Karnataka, Hampi is about 350 kilometers from the state’s capital Bangalore (aka, Bengaluru). There are a couple of routes going to this part of India. By land: There are buses from Goa, Mysore, Gokarna, and Bangalore that can take you to Hospet, the nearest stop to Hampi (10 km away). 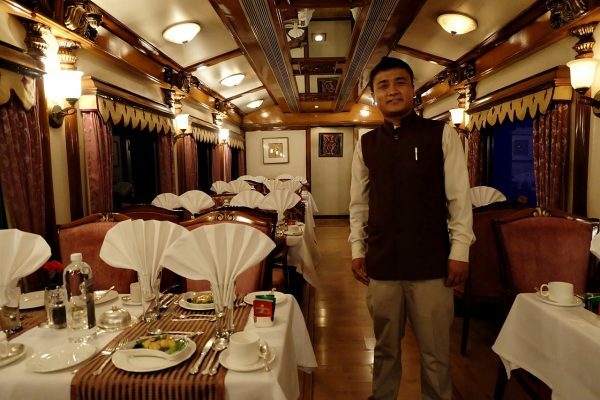 Alternatively, there are also overnight trains traveling from Goa and Bangalore. From Hospet, you will need to ride an autorickshaw or a local bus to get to Hampi. By air: A more convenient option would be to fly in to Hubli, which is approximately three hours from Hampi. Then, take a taxi from Hubli to Hampi. This sets you back around 3,000 rupees (confirm first as prices will definitely change). 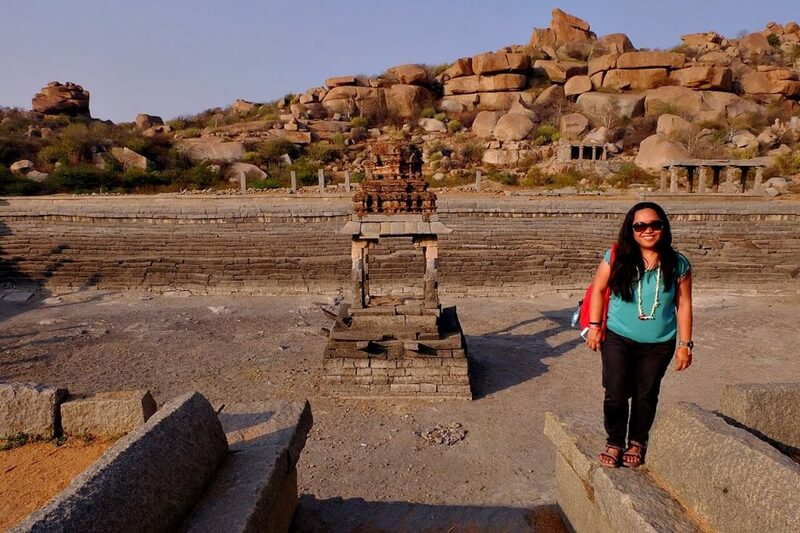 We only went around the ruins of Hampi for one day, and I found it too short. If you want to know how long you should stay there, around 3 full days would be good. Hampi is huge, and so full of history. If you’re interested in culture and heritage, Hampi in the State of Karnataka in India should be one of your top choices of cities to visit. Are you interested in culture and history? 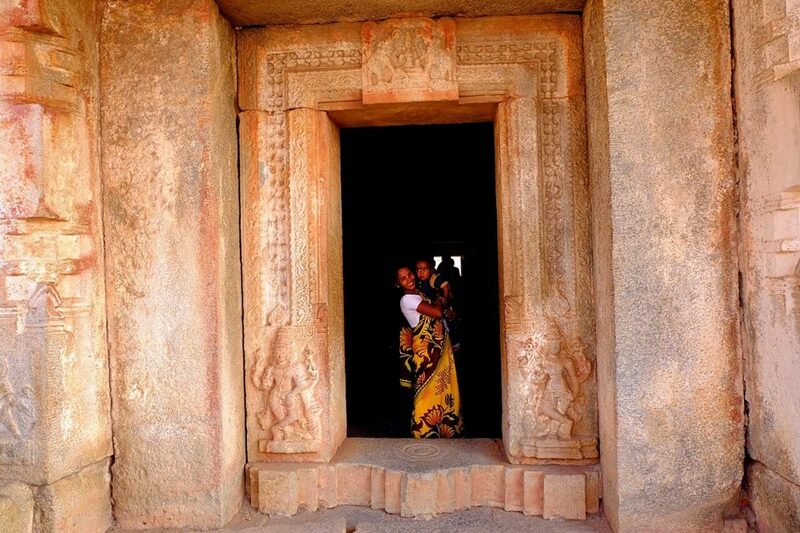 Would you want to visit Hampi? Ancient ruin sites are my passion. I’ve been to New Delhi, but never visited Hampi, it’s just way too far. But it’s definitely on my bucket list. This December I’m making it to Goa. And though it’s still over 300 km away from Hampi, I’m not missing this gorgeous place again. Thanks for an inspiring post. This is the real treasure of India. Its so amazing that in the 14th century, can build like this types of the luxurious structure by professional builders. The Ruins of Hampi is the capital of Vijayanagar. 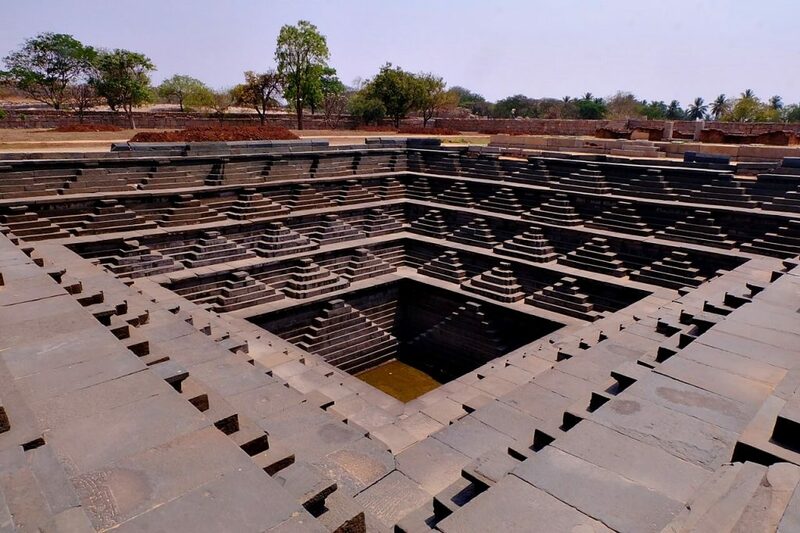 The Lotus Mahal, Water tanks and step wells outstanding. This empire is a great wonder for our new generation. I was studying about this place for my next trip. I have not visited India, now I am crazy to explore all the wonder, I will also love to visit in Taj Mahal. Thought your article I gather much important knowledge for the best traveling experience in The Ruins of Hampi. Thanks. Hampi is a magnificent experience. I cycled around the ruins a few years ago and it remains one of my best trips. Karnataka has many other magnificent ruins. The ruins of Hampi are indeed sheer poetry in stone. We have been there a couple of times but always want to go back. There is always something new that you discover every time. 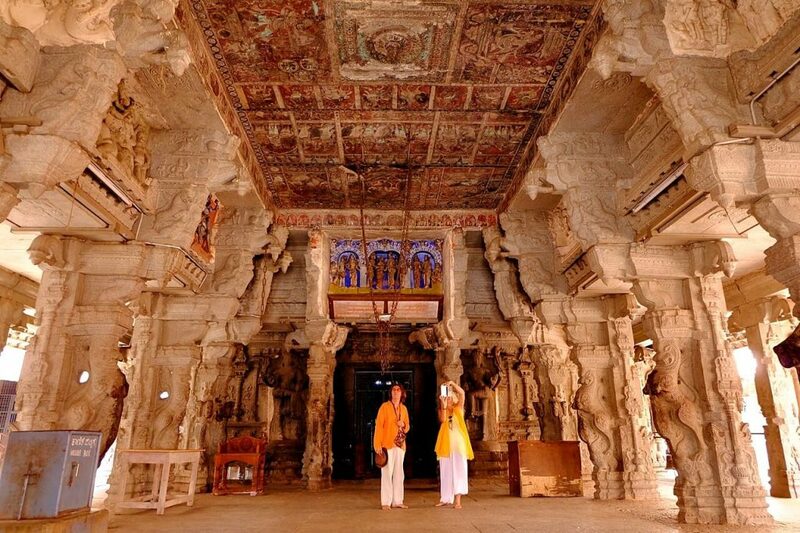 Our personal favourites are the Lotus Mahal and of course the Musical Pillars which seem to bring alive the notes of a glorious chapter in the history of Hampi. Wow! 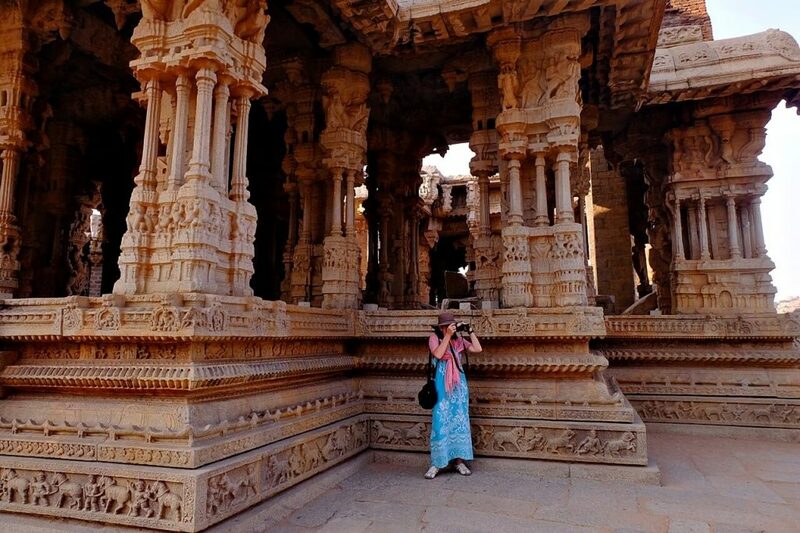 Ruins of Hampi look incredible – so much ornate detail and so immense in scale. That there are so many different structures left to explore means you can spend several housr here visiting as much as you can. Vithalla temple complex seems one of the most striking and gotta see those musical pillars! And wow at the stepwells, oh my gosh! Hampi looks amazing, with so much detail in its architecture! The musical pillars are fascinating, I can see why the British were so intrigued by them. And great tip about getting cash out beforehand! I took a train from Goa to Hampi. What a journey! It was worth the effort because I thoroughly enjoyed exploring the ruins. They are beautifully preserved and there were not many people there so it was a pleasant experience. I liked the architecture of the Lotus Mahal and the elephant stables. India is a fascinating country to visit. 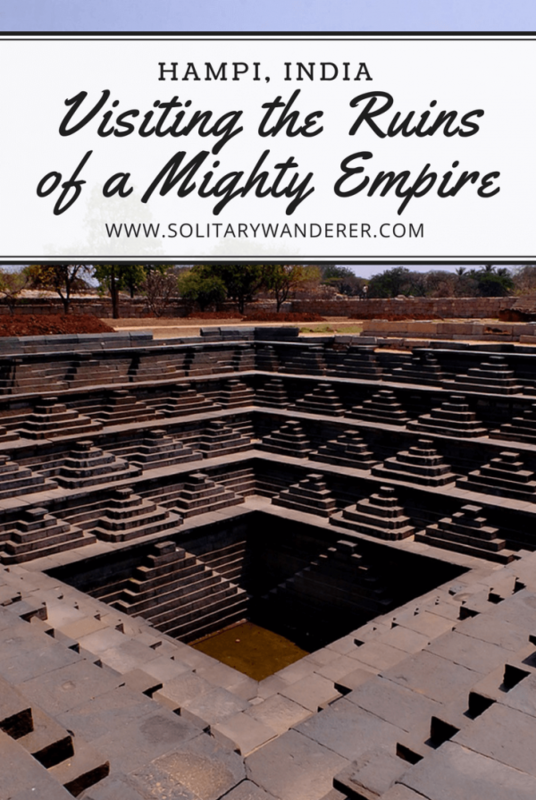 I visited that stepwell in Hampi and was amazed! Can you imagine walking all the way down those steps and then trying to carry water buckets back up? I didn’t visit some of the temples you went to though, which I’d love to next time. The Vithalla temple complex looks amazing! I can definitely see why it’s referred as the grandest of all temples in Hampi! You also took great pictures of the area! I still have not made it to Hampi yet, but your photos make it clear that it’s worth checking out. The Lotus Arches are interesting as well, I didn’t know that kind of architecture could also be found in the south. Love those carvings Aleah. India is like nowhere else on earth. History wise and culture wise too. Folks are warm and the historical spots are top notch.